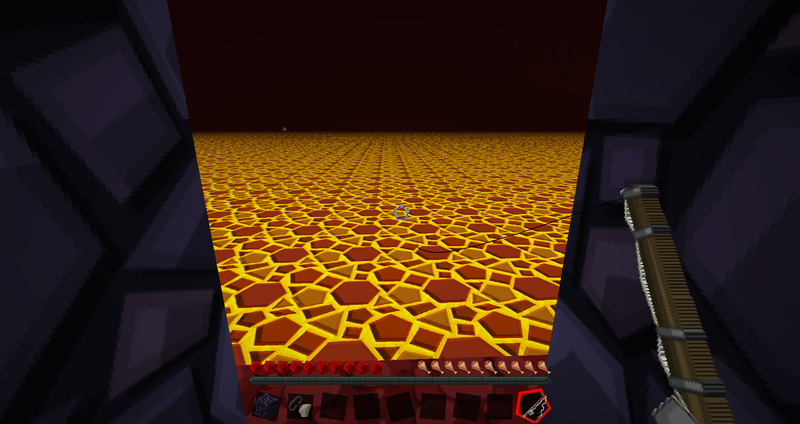 What I was wondering was can you actually cast a line out into lava? Would the lure stay out in the lava like it does in water? Or would it just burn? What happens? I attempted to find something about it, but everything is purely about what might happen if you use a fishing rod to drag mobs through water or lava. There is nothing about actually casting the line into a pool of lava. Actually, as Johonn and Finn Rayment suggested in the comments above, lava does not interact properly with the fishing rod. It does not burn the lure, and it just (appears) to sink to the bottom of the lava pool, unlike when fishing in water, it will float. It does not cause any damage to the rod at all, while casting onto dry land, or any other mob or entity will cause damage to the rod. This was tested in 1.8.1, in both Survival and Creative, (there was no difference between the gamemodes) though I am unaware of the behaviour in earlier versions. It does seem bugged however, due to the odd behaviours I described above. How can I build a safe trash can/incinerator? What might be ruining my mob grinder on the craftgasm server? Does Lure counter Luck of the Sea in any way? Do visual glitches affect the way you fish?